The hawks with short wings and long tails are good at flying among the trees. Those with long, broad wings and broad tails are soaring birds that ride the air current to great heights. Some hawks, especially those that breed in cool climates, migrate long distances in fall and spring. Others live year round in their breeding areas. Most raptors defend a breeding territory from other birds of their species, and they usually build their nests out of sticks. Large hawks and eagles lay one or two eggs, and the smaller species lay three or more. 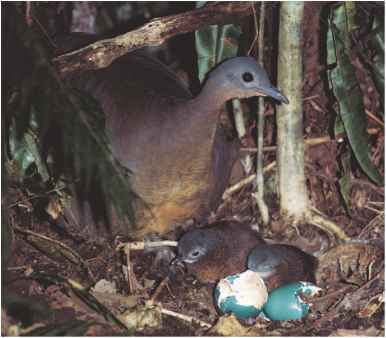 After the chicks can fly, they depend on their parents for several more weeks while they gradually learn to hunt.